McALLEN — Federal agents in early November 2018 arrested a pilot attempting to transport a group of Central Americans from a local airport here to Houston in exchange for $3,000, records show. Agents with U.S. Homeland Security Investigations detained Louis Alphonse Luyten moments before he was set to depart in a private plane from the Mid-Valley Airport in Weslaco, the complaint against the man states. “… Agents observed a private aircraft taxiing for departure at the Mid-Valley Airport, Weslaco, Texas. The aircraft was observed being piloted by an individual matching the description of (Luyten), who was previously identified as having a revoked pilot’s license,” the complaint read. When agents searched Luyten’s plane, they found four men — two from Guatemala, one from El Salvador, and one from Honduras — who did not have proof of legal status to be in the country, as well as an envelope containing $3,000 in cash. “HSI McAllen questioned the four passengers traveling on the aircraft and determined they were all undocumented aliens with no legal right to be or remain in the United States,” the document read. Earlier this week, the pilot, an 80-year-old man from New Jersey, stood before U.S. District Judge Micaela Alvarez and pleaded guilty to one count of conspiracy to transport aliens. In exchange for pleading true to the charge, government prosecutors agreed to dismiss the remaining four additional counts of bringing and harboring aliens, at the time of his sentencing. The man, a U.S. citizen who originally hails from Belgium, where according to prior reports he served in that country’s air defense for about two decades, was still serving a federal supervised release term related to a prior federal drug conviction in 2009, when he was arrested as part of an investigation into drug smuggling, court records show. Luyten, a former NATO pilot, is described as master instructor who speaks several languages fluently, including Dutch, French, German and Spanish, operated the Antwerp Aviation flight school in South Glastonbury, Connecticut, according to previously published news reports. 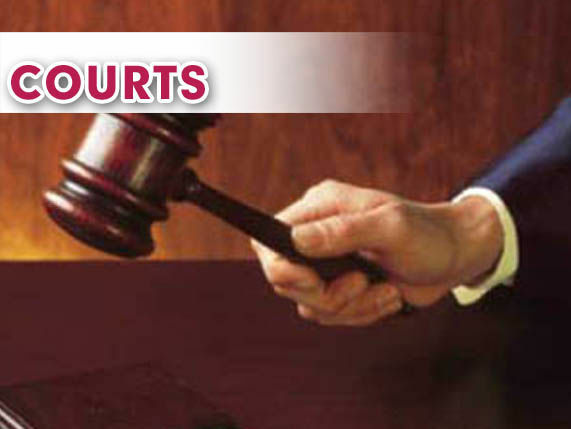 That conviction, which resulted in a 96-month prison sentence, with an additional four years of supervised release, was in connection with an investigation into his role in the transport of several kilos of cocaine between May 2008 and March 2009. In that case, federal agents began an investigation into Luyten and a co-conspirator, beginning in May 2008, until their arrest some time in March 2009, court records show. Luyten’s co-conspirator, Paul Robinson, told undercover agents that he, Luyten and two other pilots had smuggled drugs into the U.S. in the past and wanted to work for Colombian drug importers associated with the two undercover agents, court records show. The drugs they smuggled from Canada into the U.S. included ecstasy, Oxycontin and marijuana. During a meeting in February 2009, about less than a month before their arrest, Luyten and Robinson negotiated with undercover agents to deliver 10 kilos of cocaine from an airport in Florida to an airport in New Jersey. They agreed to transport the coke for a flat rate of $15,000, the record shows. Later that day, Luyten and Robinson took the 10 kilos of sham cocaine and traveled to Ocean City Airport in a Piper Apache aircraft and delivered it to one of the undercover agents, where they negotiated another deal to deliver between 50 to 10 kilos of cocaine to an airport in Canada on March 14, 2009. As in the human smuggling attempt, Luyten was on supervised release on a 2007 state level conviction out of Connecticut at the time of his 2009 arrest. In the 2007 case, Luyten pleaded guilty to a state drug charge related to an investigation that determined he had transported 100 pounds of marijuana from Canada to Hartford, CT, court records show. In that case, state prosecutors determined Luyten, then 69 years old, had piloted a plane from Canada carrying 100 pounds of marijuana into the Hartford–Brainard Airport in Hartford Connecticut. He subsequently pleaded guilty to a drug charge and received a seven-year suspended sentence, with an additional five years of supervised release. Under the plea deal, Luyten also forfeited his 1963 Mooney 20C airplane and $18,000 in cash that was seized from his Glastonbury, Connecticut home after his May 2006 arrest. Luyten, who is scheduled for sentencing on April 25, faces up to 10 years in prison for attempting to smuggle the four undocumented people, court records show.